VoIP Services are getting popular amongst small businesses as well! Small business VoIP is the best business VoIP phone service and can take them a long way towards expanding their business out there, in the competitive world where every company need every edge it can obtain. Here's the thing- you want to make better choices with regard to a modern work space? You need to get in touch with VoIP Vendors, do your research and get the one to increase savings and reduce expenses as much as you can. Remember, you're small and want to get big- this is the way out! Affordability- Over time, VoIP phone systems for small businesses became more attractive because of the promise of low costs for small businesses. The internet can be taken advantage of to reduce the cost of calls by small businesses thus, reducing the investment cost of expensive hard wares like bulky servers and so on. Not just that, with the help of VoIP Service plans, long distance call rates drop drastically leading to more savings. Scalability- A good small business grows when they install VoIP phones- that's how the business grows as well. There's no worry with regard to an increase in the number of employees- all you need to do is add virtual extensions, no need of cables and wiring either. With the help of IP telephony, one can even open offices in several states, cities and so on. VoIP can connect every office with the other. There's no need for you to spend time, energy and money on installing VoIP Services for each office anymore! Mobility- VoIP system allows several users to communicate with each other even outside the office. Users can make use of several additional features like call forwarding, video conferencing, emailing, faxing, voice mailing and so on. One can also use holiday numbers provided by their VoIP service providers and make international calls at the most minimal rates, creating no hindrance to their work wherever they go! The ease of usage- There was a lot of manpower involved with traditional phone services- managing phones, maintain them and so on. This no more shall be an issue once you switch to hosted VoIP. Reasons being, communication gets manageable and easy to use too! Also, if one has nay doubts, they can contact customer care immediately and they'll take care of the rest. These are just a few of the innumerable benefits one can get by subscribing to one of the best VoIP solution provider. VoIP is great. However, choosing the right VoIP service provider is the key. How to do that? It's simple- just do your research well- read through testimonials and reviews because they are the only evidences of real users. Not just that, have clarity with regard to what you want and if you are unsure, ensure your VoIP Service Provider is flexible enough to switch from one calling plans to the other every now and then. Most importantly, see find out how good the customer care is and how good their network availability is. There's no point in signing for a cheap service plan if they have terrible network coverage and the customer care is totally unreachable. 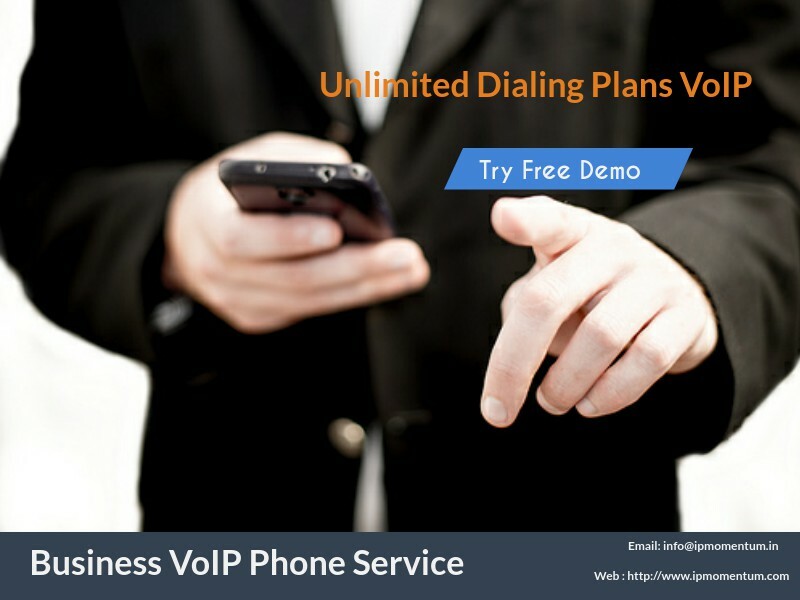 Make the most out of VoIP and good luck to your business! May it be the best and efficient of the rest. How to get best VoIP service providers in India? What Has Made Prepaid VoIP so popular? Is It Really Easy Being A VoIP Vendor? Why NOT Reward The Conventional Telephone System?